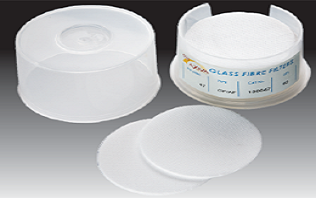 Axiva glass fiber filters are made of 100% borosilicate glass fiber that are 100% free of bonding agent i.e. chemically inert. Offers fine particle retention and high flow rate as well as good loading capacity. Basic Weight : 50 to 56 gsm.